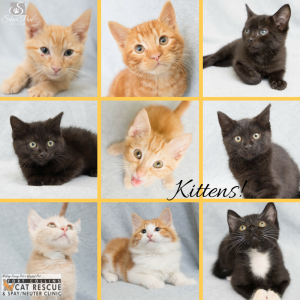 Would you like to volunteer your photography services at a local animal shelter? Photographing adoptable animals is super rewarding! Your images can help a pet find a home, event photos can help non-profits in grant applications, and special events can help spread the word about their services. 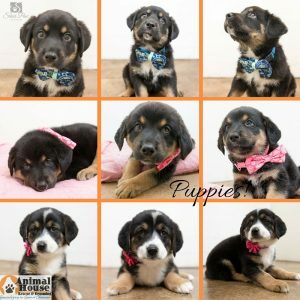 Before you walk in that shelter and start clicking away photographing those cute fuzzy kittens and playful puppies there’s some prep work that definitely needs to be done. Here are some tips from my last two years working with several rescues and nonprofits. Meet with the volunteer coordinator in advance. Every shelter and rescue have their own set of volunteer training, requirements, and guidelines. Training will involve a tour of the facility, including places that are off limits, they will talk about safe handling of pets, and you will be trained on any other procedures specific to that facility. There are a few key questions you need to ask at either your volunteer coordinator meeting or at your volunteer training. How often do they expect you to volunteer? Some shelters have an open policy for you come in when you are available and some expect a certain number of hours per week scheduled. How long are you committing to? Some shelters require a 6-month commitment While others just need an occasional photographer. Will the shelter assign a volunteer helper or do you need to find your own? If you find your own do they also need to go through the volunteer training? This is a very important question especially if you’ll be photographing cats or small animals, you will definitely need a helper! How soon do they expect images from your session? I find it’s best to submit your images as quickly as possible. I always have images to the shelters and rescues by the end of that day. Some places do have policies in place that you need to have the images to them within a certain number of hours. What format do the photos need to be? Some sites and web pages need the image cropped to a certain size or aspect ratio. They may need a certain quality size resolution or pixel size. One shelter I worked with needed horizontal 8 x 10 images. Otherwise the images look stretched or squashed and distorted. How many images of each animal do they need? Some adoption pages can only take one image while others can have several. How will you deliver their images? All of the organizations I’ve worked with so far are happy to download all of their images from Dropbox. If you’ve created a higher resolution image for a special project you may need to look into another gallery site. If you’ve only taken a few small resolution images you may be able to just add them to an email attachment. Find out specifically who you need to email the final images or image link to. Some rescues and shelters have several people who need access to the images where others you need to just send it to one person and they will forward it to the appropriate people. Once you start volunteering be reliable! Everyone is relying on you to be professional, prompt, and consistent. For more resources video tutorials and handy tips consider joining HeArtsSpeak. This is a community of creatives who volunteer their services to animal causes, rescues and shelters. If you have any questions you are welcome to ask me, I would love to help! Hi im alyssa i am 15 and i would love to take pictures of animals and im good at taking pictures to.